One of my biggest mistakes in this adult life was selling Susan Cain’s Quiet: The Power Of Introverts. I can’t tell you how many times in the past three years that I’ve wanted to pull that tome off the shelf and quote some incredible factoid, or at least seek comfort in all the ways that introversion can empower us and benefit humanity. Instead, I just clench to the fact that we’re not defective, that my wariness merely filters out the people I can’t connect to. We make fewer friends, but we tie tighter bonds. Granted, Wersing had more than the ailing health of her father to worry about after the debut. 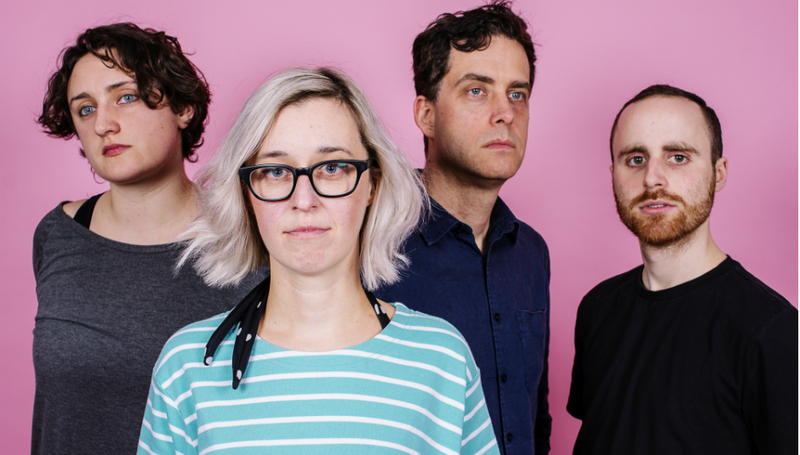 At that time, Chorusgirl felt stronger and more confident as a unit than ever. When their former guitarist could no longer commit to the band, Faith Taylor of Suggested Friends volunteered her tremendous talents. As Wersing told me, the personnel shift felt invigorating: “With Faith now, we’re going to zoom [through] the second album!” she thought at the time. Their tour route flung them across several festivals, even as far as the New York Popfest. And the record would come out on one of the nation’s most beloved indie labels, Fortuna Pop. While Wersing doesn’t want critics to evaluate her instead of her music, she nevertheless has a theory that her disposition and her career arc are related. Authentic artists, she theorizes, will see their personality reflected in both their fans and their project’s trajectory. So an extroverted singer might bang out summer anthems and peak early on the charts, but an introvert will find that their smaller audience will stick around longer. “A lot of the time, in my studies or at work, I’ve been very quiet, and never made any scratch at the start,” she explained. “But [I’ve] persistently beavered away. I think that’s the trajectory of the band, we’re going to be persistently beavering away.” And that’s true – when Wersing tells me that she writes music to heal her 16-year-old loner self, I think about the 16-year-old hermit in me, who still can’t believe that I’ve finally cracked my shell. Shimmer And Spin is out on 16 November via Reckless Yes. For more information about Chorusgirl, including forthcoming tour dates, please visit their official website.